One of the key items on the agenda of the recent The Arctic: Territory of Dialogue Forum was promoting joint initiatives in the Arctic seas. Yekaterina Khmelyova, Head of the Environmental Law Program at WWF, spoke with arctic.ru about prospects for introducing marine spatial planning norms in Russia. At the forum, Norwegian Prime Minister Erna Solberg called for introducing standards in order to better manage shared marine space. What does this mean? Yes, the important topic of managing marine space was discussed today at the forum. We heard a number of statements, primarily from Norwegians. Both the Norwegian prime minister and foreign minister believe that in order to ensure sustainable use of the Arctic seas while preserving their ecosystems we need integrated approaches to resource management. They called on Russia to keep up joint efforts to introduce these approaches in Russia. Why do we need an approach of this kind? The integrated approach to natural resources use emerged a couple of decades ago as a number of activities were being introduced in the seas. This covers not only protecting the environment and biological diversity, but also situations where oil production conflicts with fishing. This means that there can be conflicting economic activities that create revenue, so management approaches have to focus on the ecosystem in general. How should this approach work in real life? The concept of marine spatial planning is used to remove conflicts between various types of activity and establish a certain framework. It is akin to territorial planning but not entirely, since it deals with the water column. The Norwegian-Russian Fisheries and Environmental Commission has been working for about a decade or even longer. As part of this framework, Russia undertook to promote marine spatial planning mechanisms and prepare a plan for integrated marine resource management in the Russian section of the Barents Sea, since this relates to our shared resources. 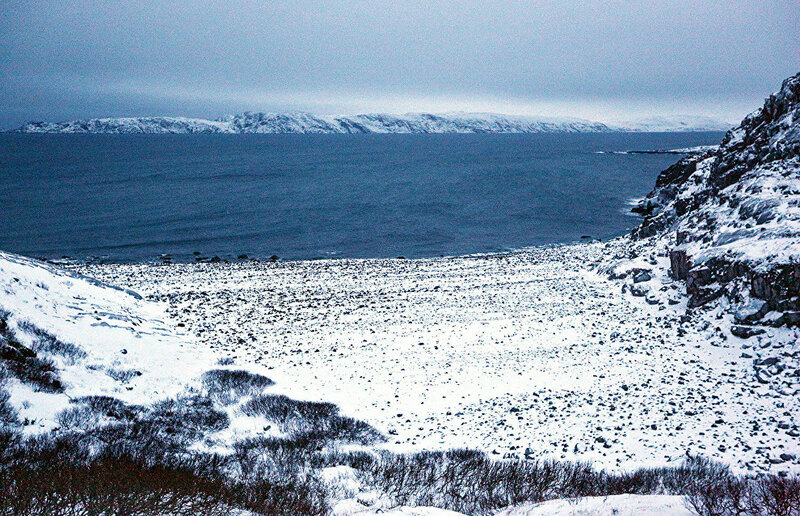 In 2014, the Russian president instructed the government to draft integrated plans for the Arctic seas and prepare a pilot project for the Barents Sea. We carried out research and proposed ways for planning marine activity within Russia's part of the Barents Sea in order to make sure that fishing, navigation and oil production can coexist, while also preventing these activities from affecting protected areas. Companies must get profit but the ecosystem should not be damaged. Unfortunately, Russia lacks a legal framework for this. I head the environmental law program which deals with laws and regulations in this sphere, and I can tell you that Russia lacks an integrated approach to managing its seas. The Maritime Board acts as a point of contact, but it has more of an advisory role. This means that there are a number of caretakers, including all ministries and agencies, as well as regional governments, but they all have limited authority. We are being told that the question of regulating state activity at sea is currently being explored and could soon make it into the State Duma. It is expected to include provisions on marine spatial planning. Only after that will there be a draft law to this effect that will set forth the terms for marine planning. This matter is very much relevant. We hear from both the private sector and the protected areas that they need this law. How is marine activity currently regulated? There is a procedure for every process. Let me give you an example. Let's say that a company wants to obtain a permit for building an offshore oil production facility. It files an application with the Federal Service for Supervision of Natural Resources that gets clearances from all the relevant agencies. However, it is not uncommon for us to see contradicting decisions even within a single agency. For example, the Federal Agency for Mineral Resources may not be aware of the fact that the territory where they authorize construction is part of a protected area overseen by the Federal Service for Supervision of Natural Resources. What regulations are in place in the Norwegian part of the Arctic? They have an integrated management plan for their part of the Barents Sea that delineates areas for fishing and resource extraction. In some areas both types of activity are possible at different times. The plan sets forth a procedure for taking decisions on every specific type of activity. This is a binding document, since it was adopted by parliament. What did the Norwegians offer us? Prime Minister Erna Solberg said that Norway welcomes Russia's efforts to promote marine spatial planning and called on Russia not to lose momentum in introducing integrated spatial management mechanisms, since the two countries share the same resources. How long will it take for this initiative to materialize? Russian agencies currently lack a legal framework. It could take from 18 months to two years if the law on state marine management makes it into the State Duma and is adopted without delay. This would be the best way to go.